Green Crystals Solar & Energy Solutions (green Crystals) is a sustainable energy provider in the MENA region that designs, assembles, manufactures and promotes solar energy and energy saving technology and sells a variety of related solar products and components, energy saving lighting for commercial, industrial and residential application. 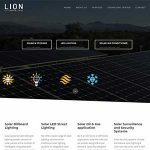 The company offers clients a total package of turnkey EPC solutions for solar on-grid and off-grid systems, commercial & industrial automation, portable back-up power systems, solar air-conditioning, billboard lighting and consultancy services for sustainable energy and green buildings. In addition, green Crystals offers its own range of products for the government- solar traffic products, solar CCTV surveillance, LED solar street lighting for Public works and services department and Municipality. The company's manufactured products include RP3 – Modern Street lighting, solar mounting hardware- designer poles for street lighting, mounting frames to hold all solar arrays of all sizes & make. 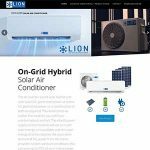 Green Crystals maintains a network of premium class manufacturers and authorized distributors that are deploying solar powered products for applications around the globe. We work in collaborations with technology and resource partners around the world to bring out innovation at its best. We have the most innovative approach to design and implement photo-voltaic applications for the United Arab Emirates. green Crystals™ covers an innovative range of green energy products & solutions for commercial, industrial, institutions and residential applications. To brief up, we offer customized solutions for innovative road and outdoor solar lighting, power back-up solutions at off-grid locations, solar-powered systems for irrigation, farming and residential places not connected to the electricity grid. Our approach does not require the installation of an electricity grid which is the major cost driver. This contributes further to the cost-effectiveness of solar power. GREENCRYSTALS? Simply because you won't find another company in Ras Al Khaimah, designing custom solar powered systems, just how you want it. And what's more, green Crystals™ provides you with systematic service and follow up by our committed installation, maintenance & service team. In addition to all that, we have a manufacturing facility and our own range of solar mounting hardware- poles for streetlights and mounting frames to hold all solar arrays of any size & make, be it ground or roof mounts.